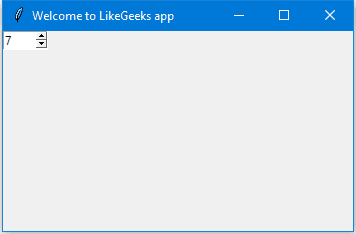 In this tutorial, we will learn how to develop graphical user interfaces by writing some Python GUI examples using the Tkinter package. Tkinter package is shipped with Python as a standard package, so we don’t need to install anything to use it. Tkinter is a very powerful package. 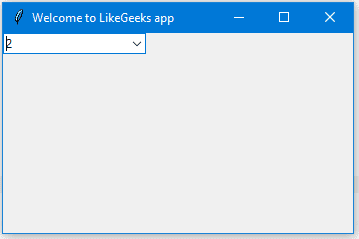 If you already have installed Python, you may use IDLE which is the integrated IDE that is shipped with Python, this IDE is written using Tkinter. Sounds Cool!! We will use Python 3.6, so if you are using Python 2.x, it’s strongly recommended to switch to Python 3.x unless you know the language changes so you can adjust the code to run without errors. I assume that you have a little background in the Python basics to help you understand what we are doing. We will start by creating a window to which we will learn how to add widgets such as buttons, combo boxes, etc. Then we will play with their properties, so let’s get started. The last line calls the mainloop function. 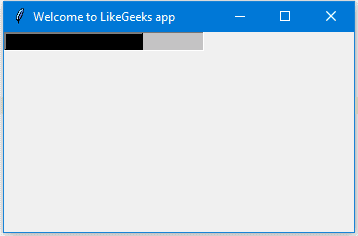 This function calls the endless loop of the window, so the window will wait for any user interaction till we close it. If you forget to call the mainloop function, nothing will appear to the user. Without calling the grid function for the label, it won’t show up. You can set the label font so you can make it bigger and maybe bold. You can also change the font style. Note that the font parameter can be passed to any widget to change its font, thus it applies to more than just labels. Great, but the window is so small, what about setting the window size? The above line sets the window width to 350 pixels and the height to 200 pixels. Let’s try adding more GUI widgets like buttons and see how to handle button click events. Note that we place the button on the second column of the window, which is 1. If you forget and place the button on the same column which is 0, it will show the button only, since the button will be on the top of the label. You can change the foreground of a button or any other widget using the fg property. Also, you can change the background color of any widget using the bg property. Now, if you tried to click on the button, nothing happens because the click event of the button isn’t written yet. Note that, we typed clicked only not clicked() with parentheses. 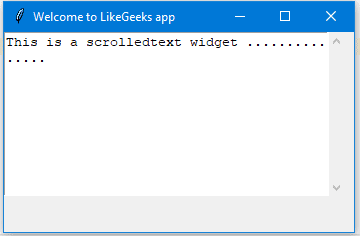 In the previous Python GUI examples, we saw how to add simple widgets, now let’s try getting the user input using the Tkinter Entry class (Tkinter textbox). Now, if you click the button, it will show the same old message, but what about showing the entered text on the Entry widget? If you click the button and there is text in the entry widget, it will show “Welcome to” concatenated with the entered text. Every time we run the code, we need to click on the entry widget to set focus to write the text, but what about setting the focus automatically? And when you run your code, you will notice that the entry widget has the focus so you can write your text right away. Now, you won’t be able to enter any text. Then you can add your values to the combobox. As you can see, we add the combobox items using the values tuple. To set the selected item, you can pass the index of the desired item to the current function. Here we create a variable of type BooleanVar which is not a standard Python variable, it’s a Tkinter variable, and then we pass it to the Checkbutton class to set the check state as the highlighted line in the above example. You can set the Boolean value to false to make it unchecked. Also, you can use IntVar instead of BooleanVar and set the value to 0 or 1. These examples give the same result as the BooleanVar. Note that you should set the value for every radio button with a different value, otherwise, they won’t work. Also, you can set the command of any of these radio buttons to a specific function, so if the user clicks on any one of them, it runs the function code. To get the currently selected radio button or the radio button’s value, you can pass the variable parameter to the radio buttons and later you can get its value. Every time you select a radio button, the value of the variable will be changed to the value of the selected radio button. Here we specify the width and the height of the ScrolledText widget, otherwise, it will fill the entire window. 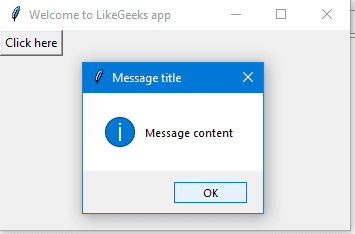 Let’s show a message box when the user clicks a button. When you click the button, an informative message box will appear. You can choose the appropriate message style according to your needs. Just replace the showinfo function line from the previous line and run it. Also, you can check what button was clicked using the result variable. If you click OK or yes or retry, it will return True as the value, but if you choose no or cancel, it will return False. The only function that returns one of three values is the askyesnocancel function; it returns True or False or None. Here we create a Spinbox widget and we pass the from_ and to parameters to specify the numbers range for the Spinbox. Here the Spinbox widget only shows these 3 numbers: 3, 8, and 11. Now, if you run the program, it will show 36 as a default value for the Spinbox. You can set this value based on any process you want like downloading a file or completing a task. Changing the Progressbar color is a bit tricky. First, we will create a style and set the background color and finally set the created style to the Progressbar. 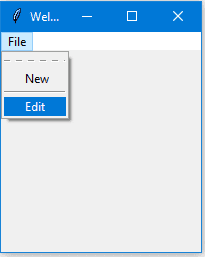 After you choose a file and click open, the file variable will hold that file path. You can specify the file types for a file dialog using the filetypes parameter, just specify the extensions in tuples. First, we create a menu, then we add our first label, and, finally, we assign the menu to our window. This way, you can add as many menu items as you want. Here we add another menu item called Edit with a menu separator. You may notice a dashed line at the beginning, well, if you click that line, it will show the menu items in a small separate window. Just replace the new_item in the above example with this one and it won’t show the dashed line anymore. I don’t need to remind you that you can type any code that works when the user clicks on any menu item by specifying the command property. To create a tab control, there are a few steps. 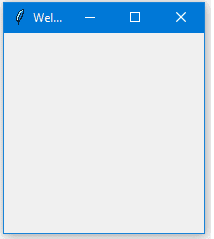 First, we create a tab control using the Notebook class. Create a tab using the Frame class. Add that tab to the tab control. 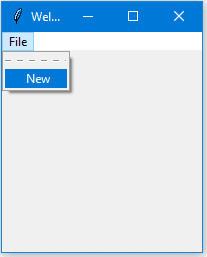 Pack the tab control so it becomes visible in the window. In this way, you can add as many tabs as you want. After creating tabs, you can put widgets inside these tabs by assigning the parent property to the desired tab. You can add padding for your controls to make it look well organized using the padx and pady properties. Just pass padx and pady to any widget and give them a value. In this tutorial, we saw many Python GUI examples using the Tkinter library and we saw how easy it’s to develop graphical interfaces using it. 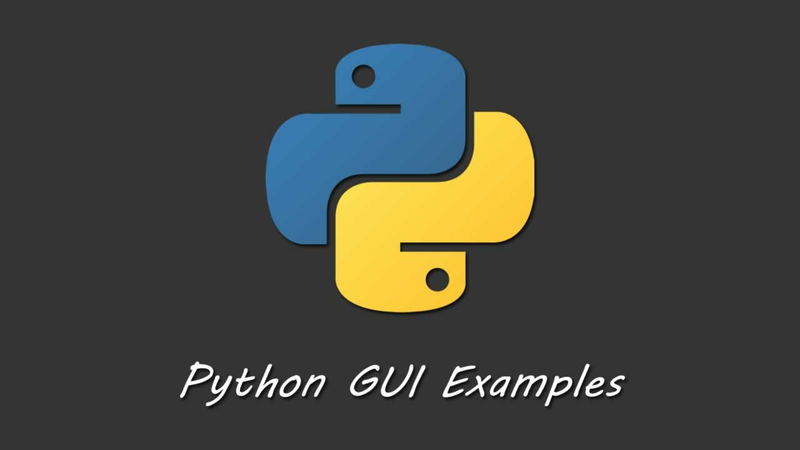 This tutorial covered the main aspects of Python GUI development, but not all of them. There is no tutorial or a book that can cover everything. I hope you found these examples useful. Keep coming back.